The Design Academy of Fashion will be hosting an open day were the Daf students will be exhibiting their college work. 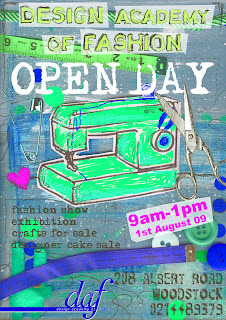 There will also be craft items and yummy cakes for sale. All proceeds will go towards the end of year fashion show, so bring your friends and parents and come show your support!